Just in! Betancourt Nutrition products by Elite Pro Nutrition (EPN) to fuel my workouts! 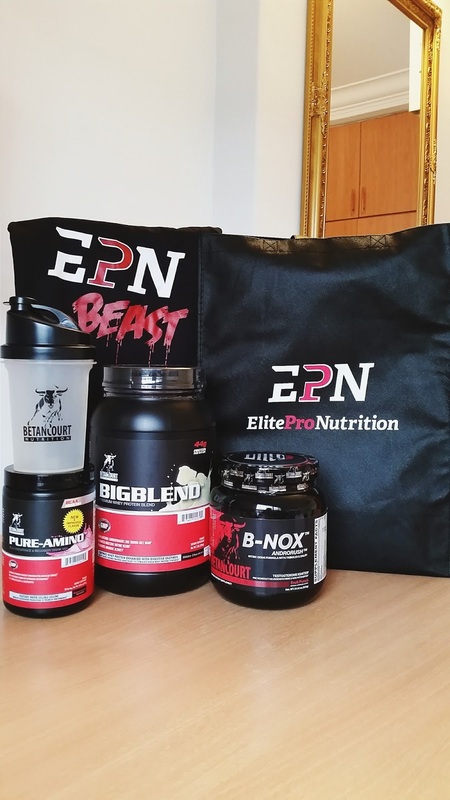 Elite Pro Nutrition (EPN) is the exclusive distributor for two highly sought after brands – Betancourt Nutrition and NutriForce Sports. EPN offers a wide range of sports nutrition for both brands to cater for the intense performance of athletes. Started in Singapore in June 2014, EPN is currently headquartered at 1008 Toa Payoh North, Singapore. Its services include seamless online shopping with free local delivery. EPN prides itself in bringing the established brands from the United States that are proven and endorsed by famous athletes. It does not only focus on intense performance and competition, but a total lifestyle of fitness and wellness for all fitness enthusiast. The supplement label, Betancourt Nutrition, was founded in 2002 in Miami by a former National Physique Committee (NPC) bodybuilding champion Jorge Betancourt. This premium brand addresses the complex nutritional needs of fitness buffs. Based on constant research and innovation, each formula is uniquely potent. Professional athletes and body builders swear by its efficacy, including IFBB Bikini competitor and leading fitness model Michelle Lewin, WBFF fitness model Scott Kemp, and middleweight champion Charles Curtis. Whether you are an advanced athlete or a budding sportsman, want to shed those tummy or sculpt those six packs, Betancourt Nutrition could be the ideal supplement for you! Betancourt Nutrition not only fulfils FDA requirements, it produces top quality, safe and effective fitness essentials. It will give you the competitive edge you need, as well as a sense of holistic wellness! With me here are the essentials which is the pre-workout namely B-Nox Androrush Betancourt Nutrition, which could help in endurance that allows you to focus and do more reps, post-workout Big Blend Premium Whey Protein Formula for recovering those torn muscles after a workout, and pure amino to assist muscle growth and tissue repair. Currently trying it out. Will let you guys know how it goes!